yflyer you shd begin to do reviews for Run magazines too Good coverage on the the new route. I have never taken part in a mass running event either. Not even the Star Wars run yesterday, which seems to have been a lot of fun. Some of my friends are addicted to these runs, tri/bi-athlons, and even ultra's, which seem to be getting more and more popular (and frequent.). I dont think I'll try running a flat no-end-in-sight-oh-the-horizon-is-so-faraway route. I might if I'm 18 year old again and a particular sadistic PTI is shouting down at me, but (I'm glad) that's past. 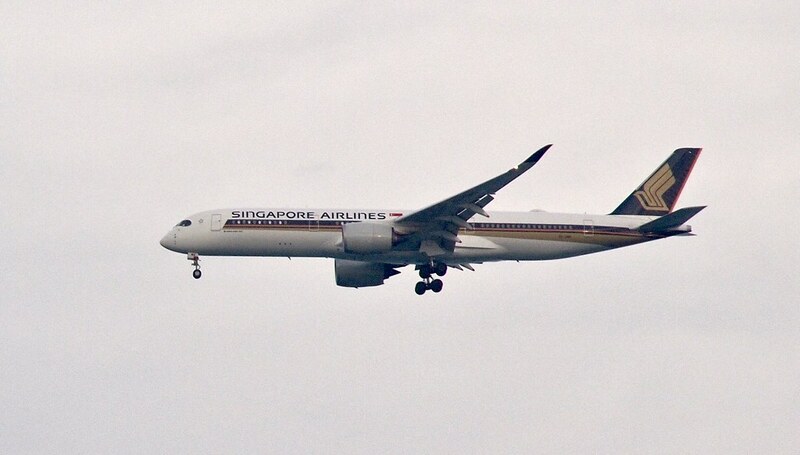 Last edited by yflyer; 7th May 2017 at 11:06 AM..
Out for a midday run along East Coast Park on an overcast Christmas Eve, today, just as 9V-SMT, SQ's 20th A350, was landing after her delivery flight from Toulouse. 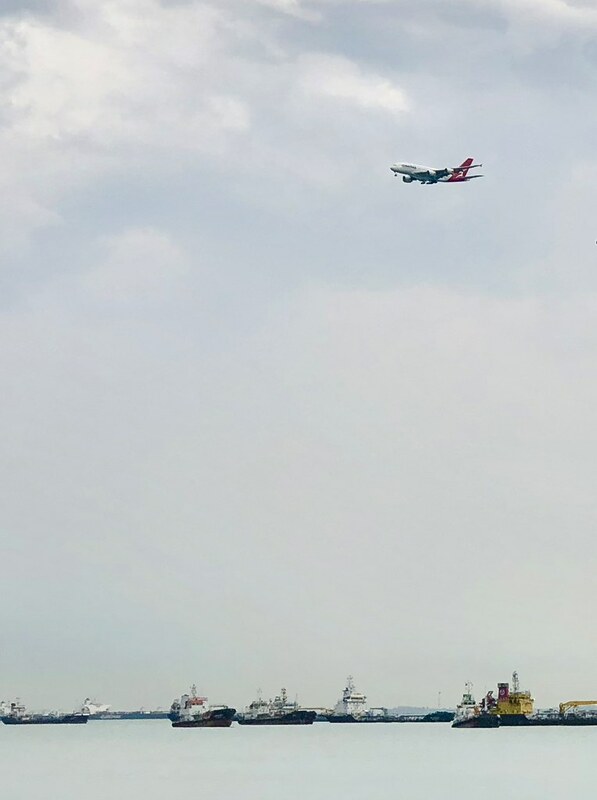 As I had prior heads up of SQ8895's arrival timing from SQKevin and another SQTalker, I checked Flightradar24 periodically on my run, and literally sprinted to the end of the jetty just minutes before 9V-SMT passed by on her final approach to Runway 02C. Just my iPhone with me, so no close-ups, and of course the rego was not visible but this was the only A350 scheduled to arrive around that time. 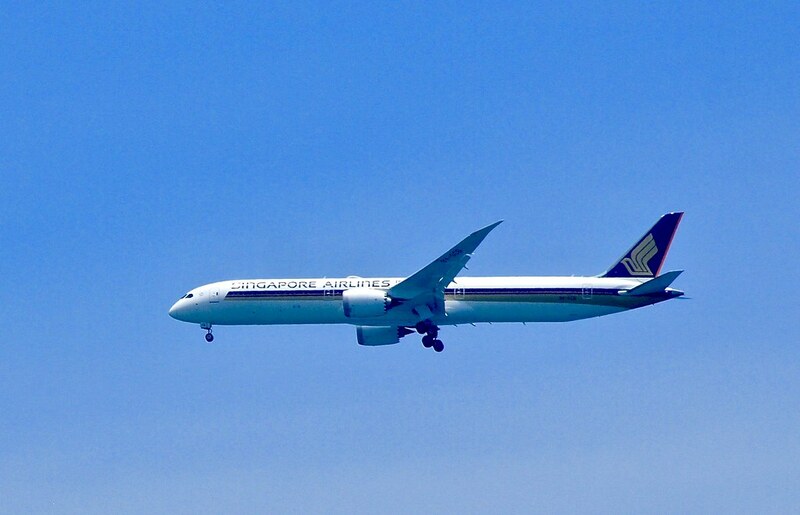 The landing was on Runway 02C, which gave it a flight path a lot further from the coastline than aircraft landing on 02L. 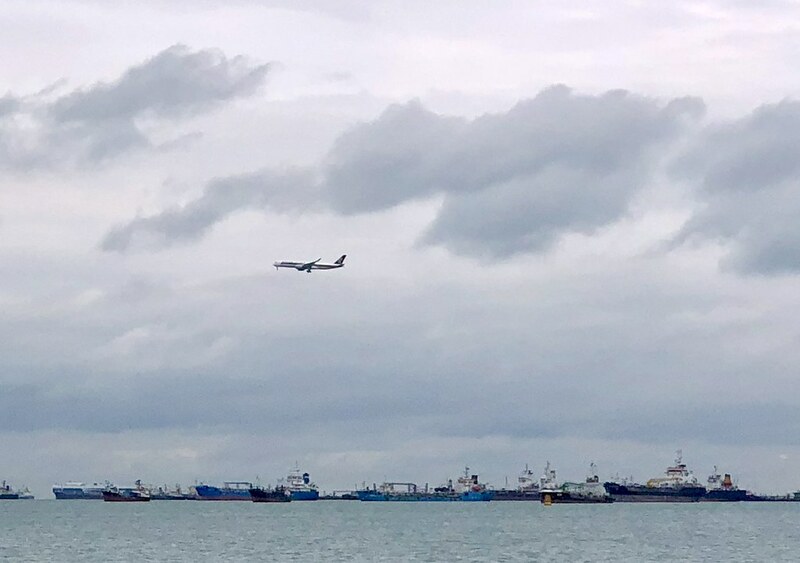 The aircraft would have been much closer to the jetty, and the pics much better, if it was landing on 02L like several aircraft earlier in the day. Last edited by yflyer; 24th December 2017 at 02:56 PM..
Aren't you lucky the landing was on 02C. Imagine if it was on 20C instead. We wouldn't be here admiring your pictures! Anyhow, thanks for your conscientious effort in taking these photos, yflyer! Last edited by SQ22; 1st January 2018 at 11:16 PM.. 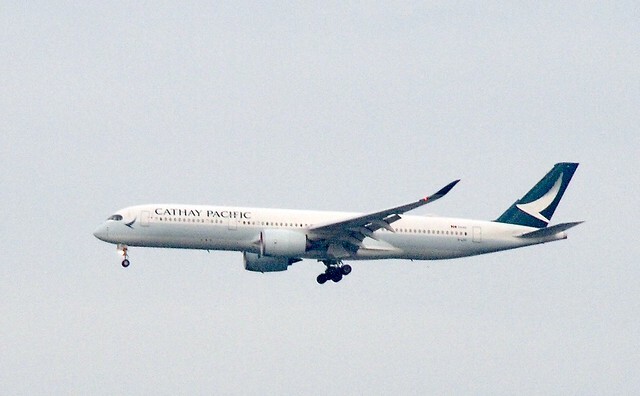 I am always happy when aircraft land on 02C or 02L, whether I am on the ground or on the plane! 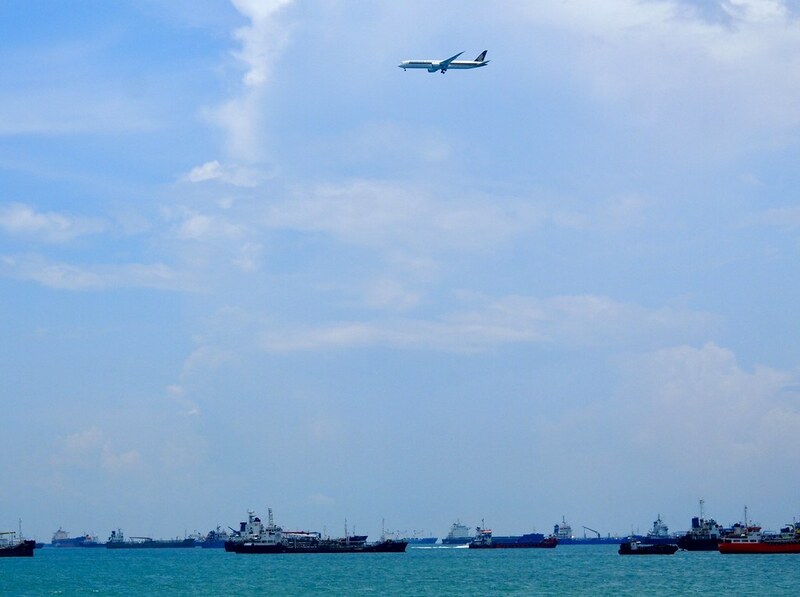 Onboard, you get much better views of Singapore out of the left hand windows when they land in that direction. 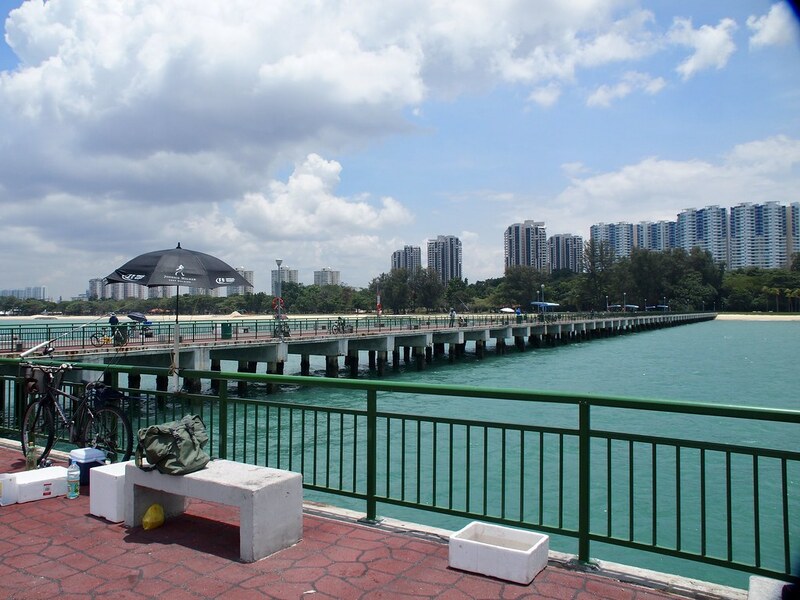 I live in the East, and end up along East Coast Park (And Bedok Jetty) on a regular basis when I head out for runs. 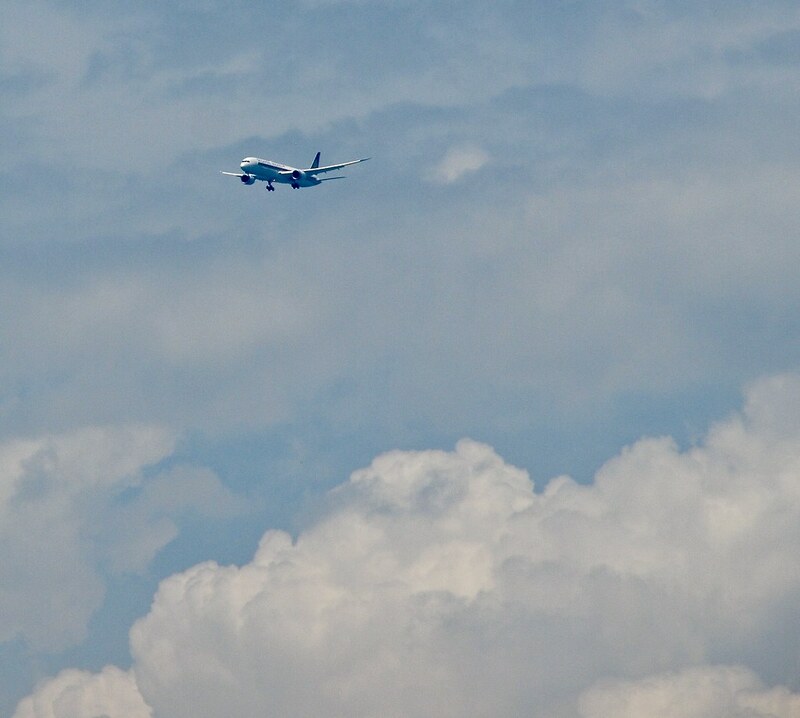 The past few days, many landings in the afternoon and evening have been on 02L, which means great views of planes for those along the park. 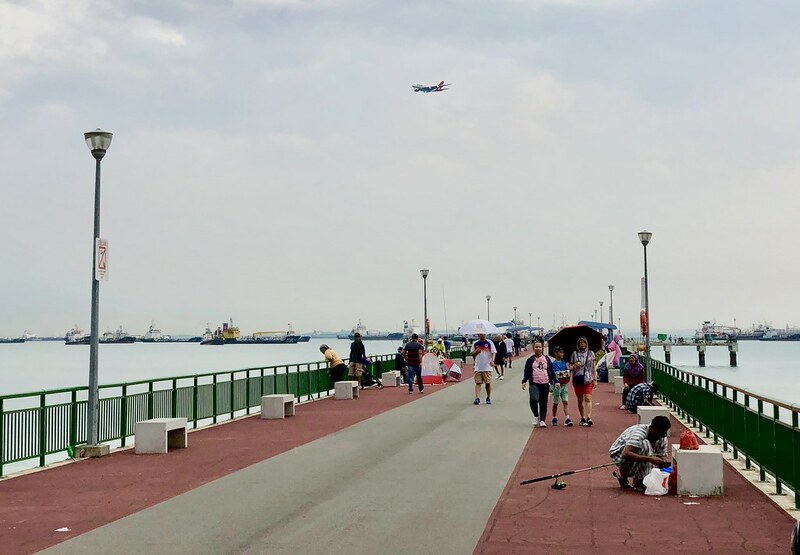 The planes landing pass directly over the jogging/cycling track further up along East Coast Park, close to the sailing centre. Great post yflyer. 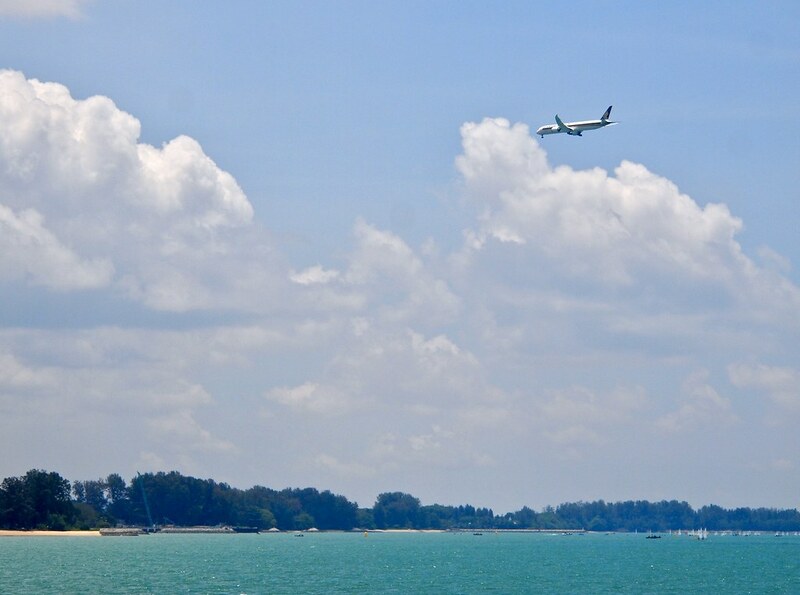 Tanah Merah Coast is unfamiliar to me but I have been to Changi Coast Road before. 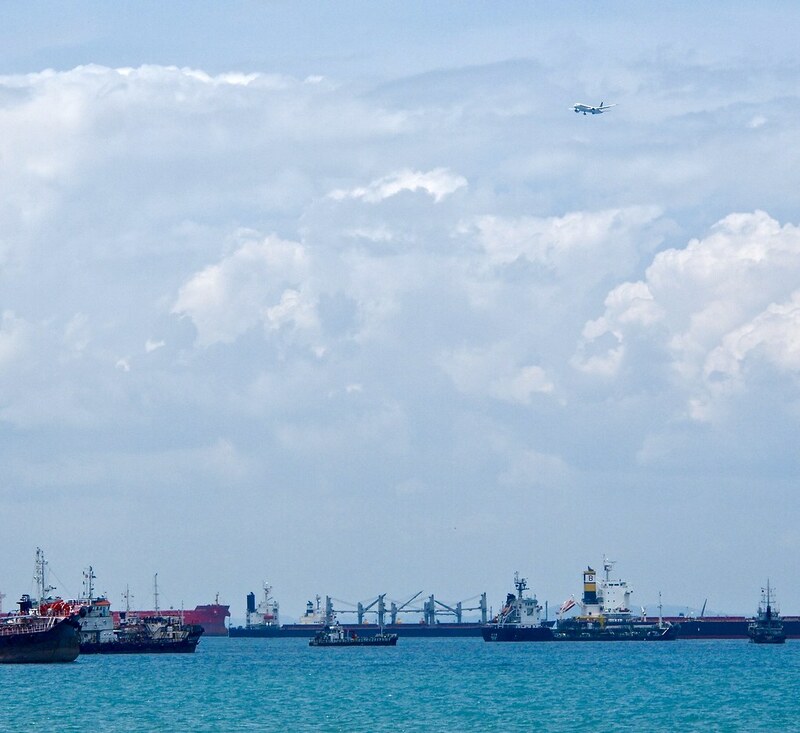 Some of those views of the boats/harbor are what I have seen when I went to Sentosa last year in January. 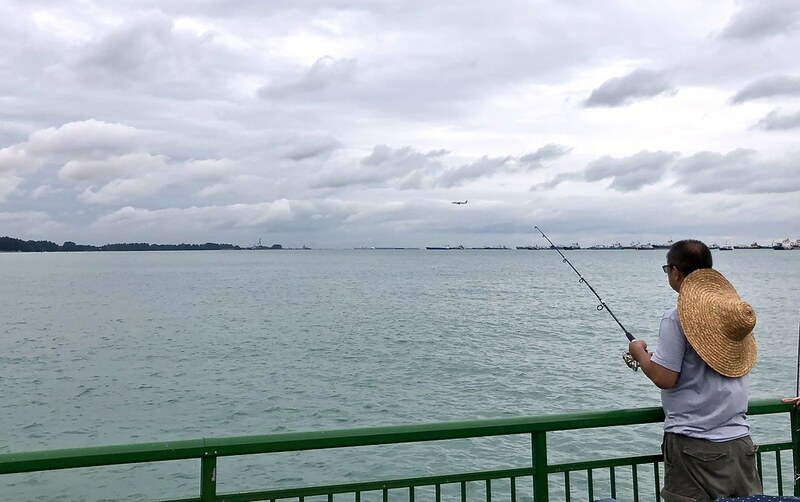 Changi Coast Road holds many fond memories for me. 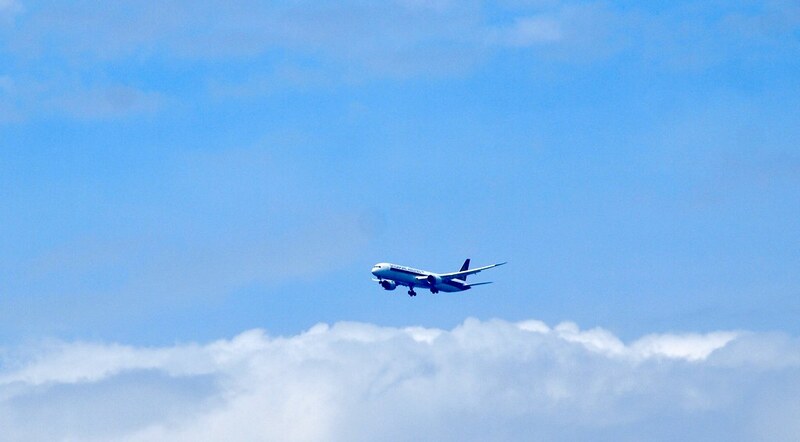 I used to gawk at planes up close from Emergency Gate E2. Many a time, I had a patrol police car come up to me, before being questioned by young men in blue and issued warnings. 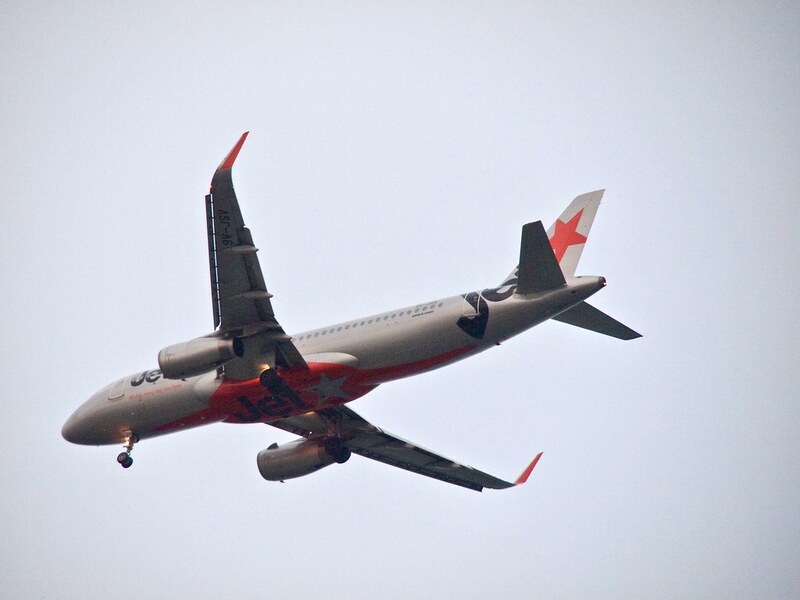 Now that Tanah Merah Coast Road is in operation, we plane spotters have lost the chance to see planes up close. Unfortunately, we don't have almost unimpeded access to the runways unlike the lucky folks at MAN. Thanks, SQfanatic...Sentosa is more South than East, so the views from Sentosa may have been similar, but are of a different part of the coast line. 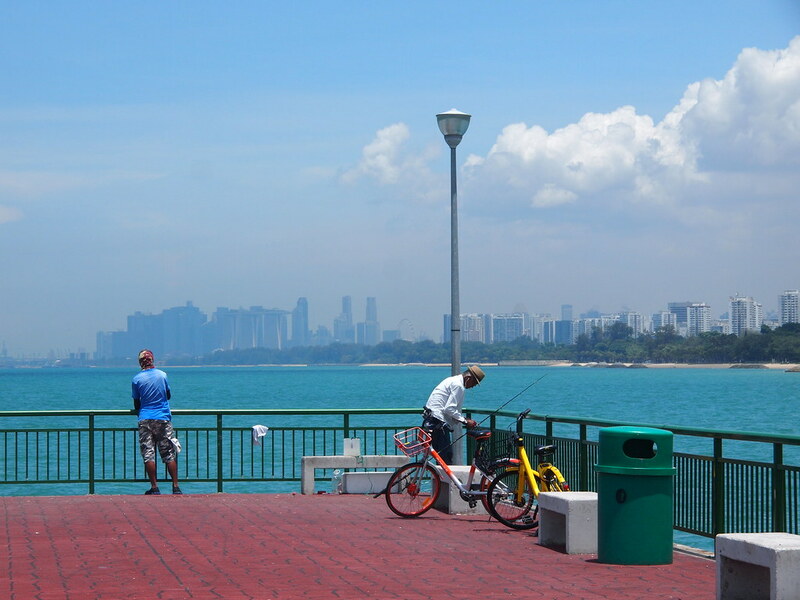 Nice views from Sentosa too, of course. Planning to go for a run on Sentosa some time soon too, but haven't gotten round to it. 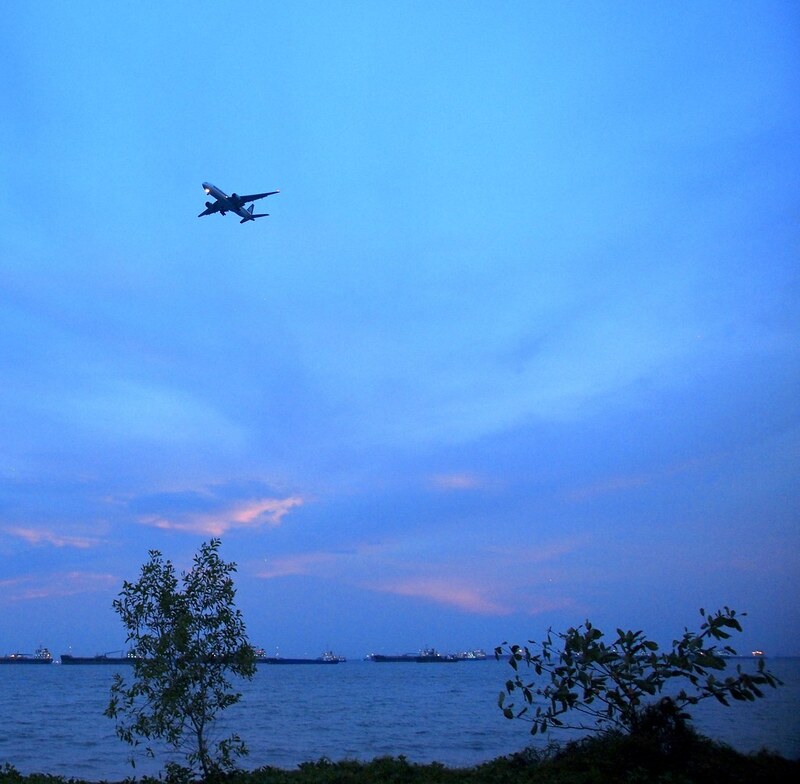 The old Changi Coast Road also holds many memories for me...agree it used to be a great spot for plane watching. As a child, I remember being a passenger in a car going along that road, with windows wound down, as a BA 747 roared past as it rotated and took off...a real shock and awe moment. 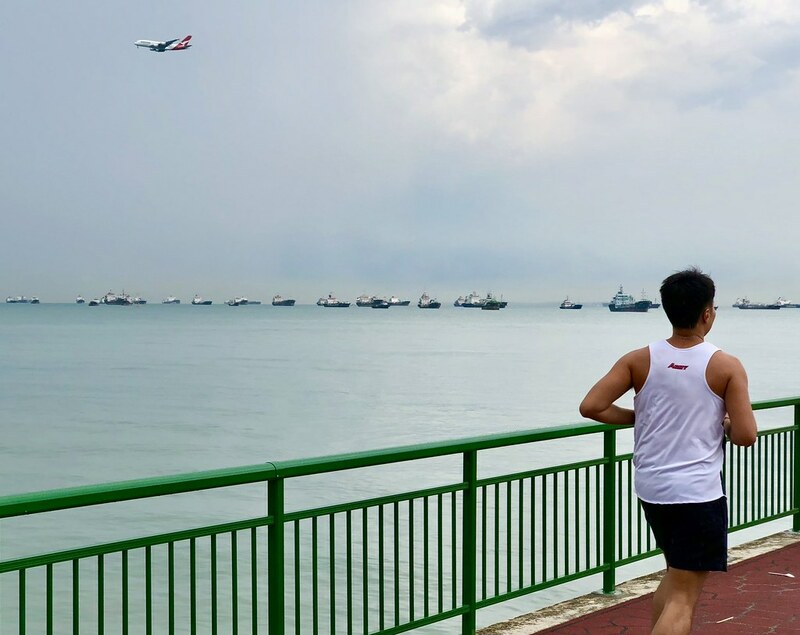 I always enjoyed my runs along that road, watching the comings and goings of aircraft as I jogged along that seemingly endless straight stretch. The new Tanah Merah Coast Road is a different beast altogether. No planes alongside, and very VERY quiet -- if you want solitude, peace and quiet, then that is the place to run. Couldn't have agreed more. The views were more from the Cable Car they take you around. 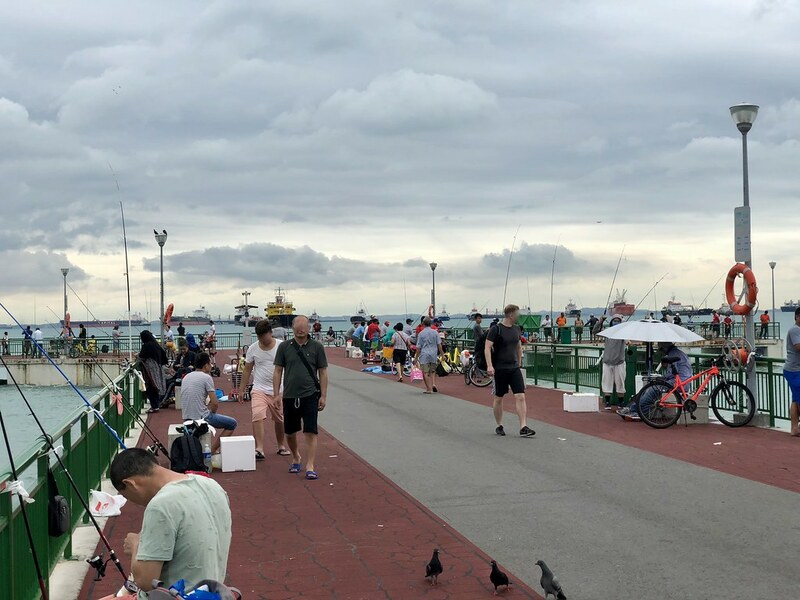 I was lucky to have had a sunny Saturday when I was in Singapore last year; most of the other times there's been a mix of sun, clouds, and even rain. 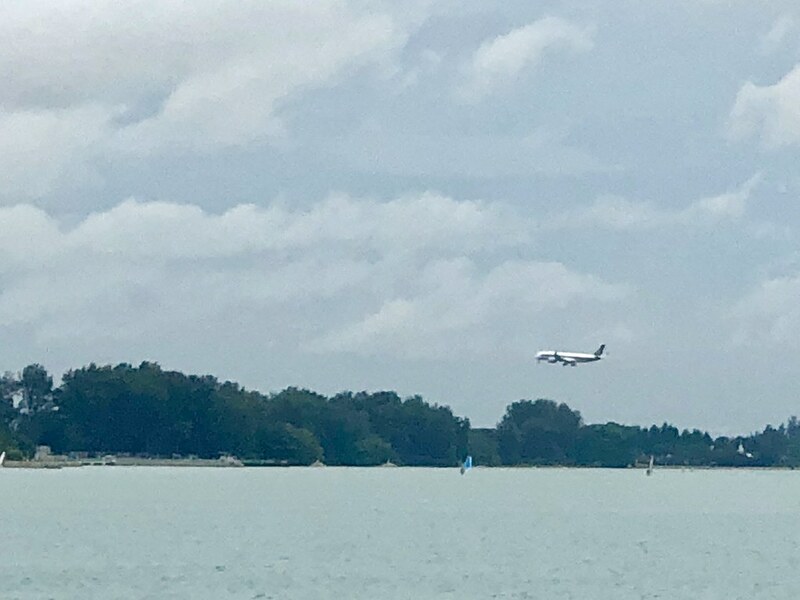 On my regular jogs along East Coast Park and Bedok Jetty yesterday, and happened to see yesterday's QF2 LHR-SIN landing on Changi at around 5.37pm, on a short stop before continuing on to Sydney. Qantas A380's have been back on this route since 25 March 2018. 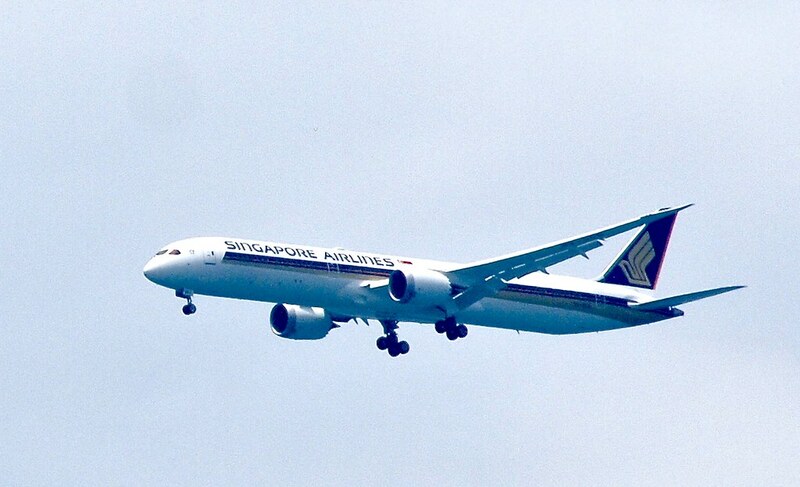 Nice to see QF A380's back in Singapore after a 5 year break where DXB was the previous stopover between SYD and LHR. Once again, only had my iPhone with me, so had to be content with a very limited zoom. Qantas has not yet revamped their A380 cabin products since launching this aircraft type. Qantas A380 J is fully flat 2-2-2, and is in need of an update, but Qantas A380 Y remains an excellent, and very comfortable, seat. I have not flown Qantas A380 PEY in a while, but when I did try it, I was truly impressed -- almost business-lite. Great to have the Qantas whalejet back as an option to get to London and/or Sydney. Last edited by yflyer; 31st March 2018 at 01:10 PM.. 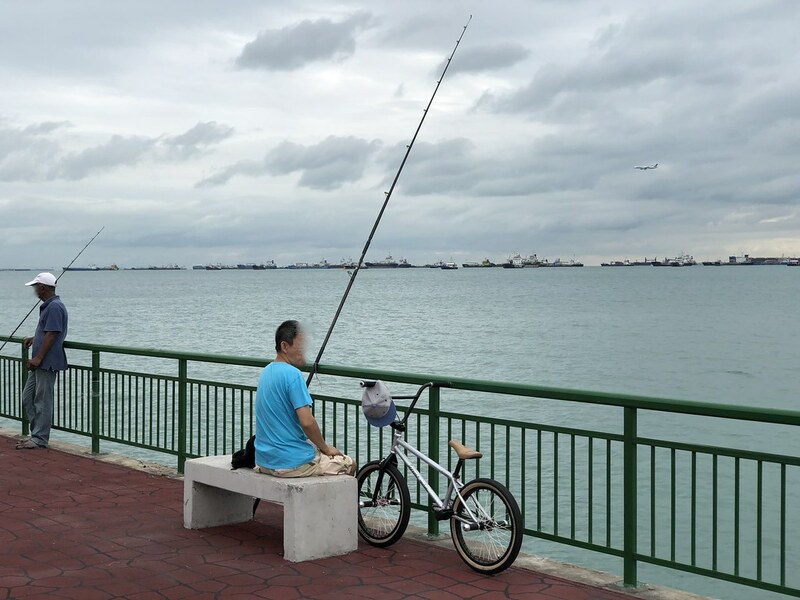 I was back at Bedok Jetty today. 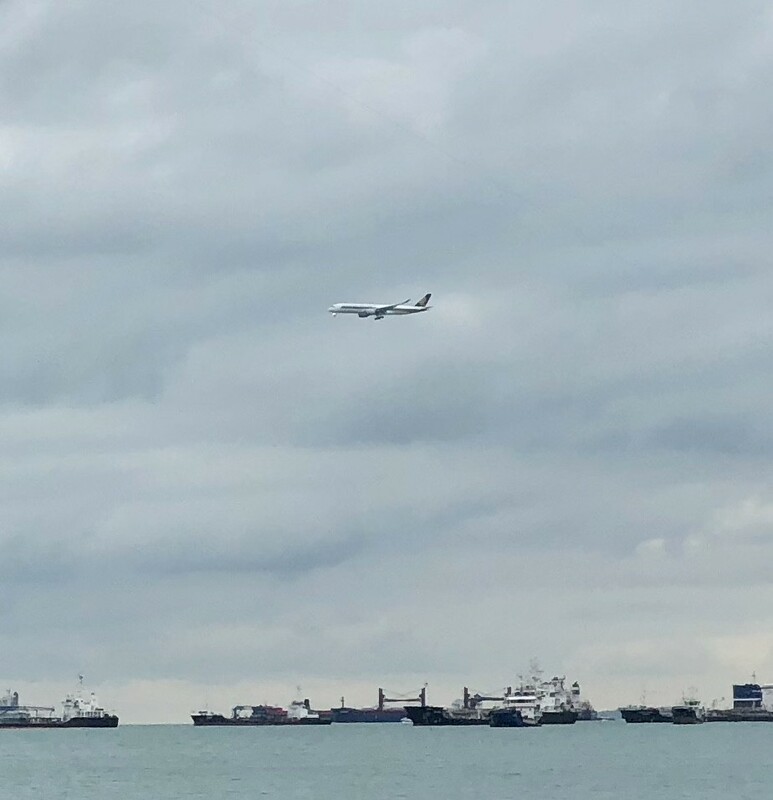 After subjecting everyone here to fuzzy cellphone pictures of planes landing, which never did justice to the view, I finally headed to Bedok Jetty on a bike, with a proper camera, and a 300mm zoom lens. 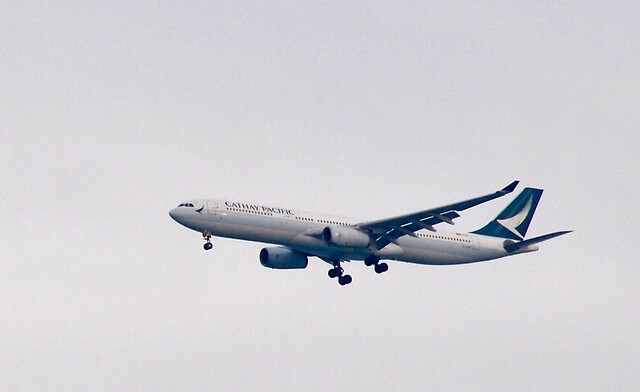 Still not spotter-quality (I think you need between 600-1000mm lenses, or greater, for professional shots) but a 300mm telephoto is just about enough to capture nice shots of planes as they land. Last edited by yflyer; 11th April 2018 at 03:32 PM.. 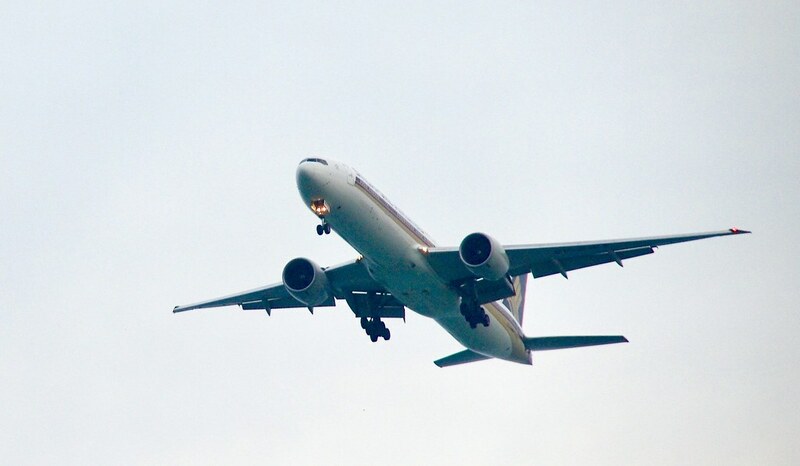 Some pics, taken today, at around 12.50pm, of 9V-SCB on final approach. Just pictures for now -- no commentary required...enjoy! Last edited by yflyer; 11th April 2018 at 03:31 PM.. The day before those 787-10 pics, I was there in the evening with my camera as well, and took a few more from the Jetty, as well as further East the cycle track, almost under the flight path of the landing jets.